The parish has had two very successful events in the past year and we’re hoping to make it a ‘hat-trick’ by reviving yet another popular event from the parish’s past. Categories Past ItemsTags The parish has had two very successful events in the past year and we’re hoping to make it a ‘hat-trick’ by reviving yet another popular event from the parish’s past. 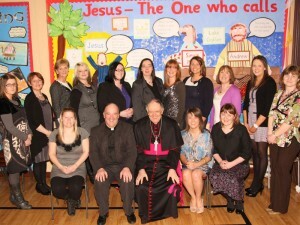 St. Comgall’s Pre-school Playgroup publish a newsletter each month. Click the link to view the current issue.